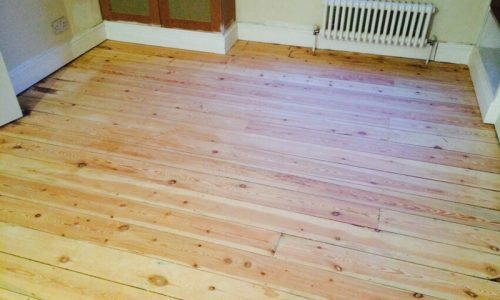 In case you are on the lookout for professionals who can offer exceptionally good floor sanding services in Lambeth, PJ Pine & Son is the one-stop solution for you. We are a proficient group of professionals who have been in the industry for a considerable duration of time and know exactly what to do to achieve the best finish for any kind of wooden flooring. You can rest assured about the fact that once we have finished our work, your floors will regain that fresh look and you will have a hard time believing that it is the same surface that you have been walking on all these years. There are plenty of ways that a sanded floor can be treated depending on the kind of wood it is made from in order to achieve the finish that you are looking for. There is no kind of condition of a wooden floor that we cannot treat and make it regain the new look. 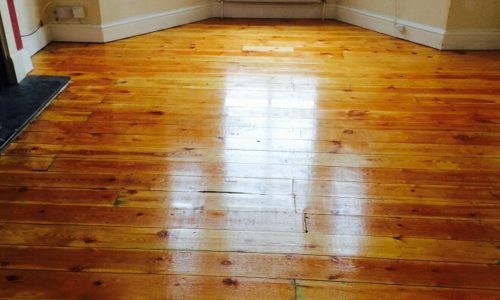 We are highly renowned for floor sanding in Lambeth, which we have been able to gather by constantly delivering high-quality services. We never shy away from going the extra distance to ensure that we have done a thorough job and exceeded what you had expected from us. Regardless of whether you need us to treat a residential property or a commercial space, you can be sure of the fact that we are going to put in the same degree of dedication to our work. We are extremely proud of the reputation we have gained and we will strive to constantly produce quality hardwood flooring for our customers. We are intent on being on a constant quest to expand our knowledge of our craft so that we can be of even better service to you. Every member of our team is highly experienced and knows how to go about doing their job to get the desired results. The professional approach they take to their craft is exemplary, and this is something that makes us quite unique in our industry. As thousands of our satisfied clients will readily testify to, we take our work very seriously and leave no stones unturned until we have done what we were called in for. Whether it is the flooring of your home that you want us to sand or it is your office, you can blindly rely on the fact that there will be no other professionals in Lambeth who can do a better job. The adage ‘practice makes perfect’ certainly holds true in our case, and the years of experience that we have racked up has helped us to master the art and science behind our work. Having come so far with so much excellence, we are not going to relinquish it and will continue to keep up the good work and gain the appreciation of our clients.